One of the best ways to help support the Upstairs Artspace is to become a member! 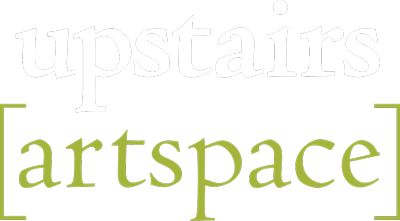 The Upstairs Artspace is a nonprofit organization whose mission is to develop an understanding and appreciation of contemporary art and craft forms through exhibits, programs and educational activities that enrich the cultural life of the region. Your MEMBERSHIP DUES and CHARITABLE GIFTS provide the Upstairs Artspace with year-round support-keeping our doors open so we can bring you high quality exhibits, programs and other events. All students should have access to great art. This category of membership promotes that belief, by offering the same level of benefits that a member has, to students at a reduced price.